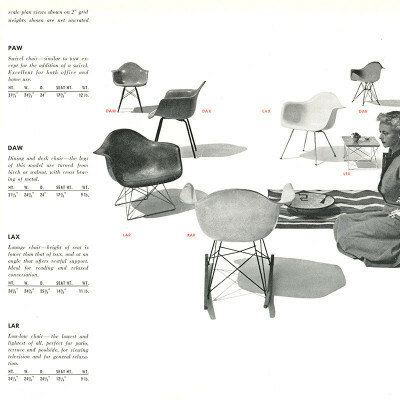 What were the Eames DAW & PAW Chairs? 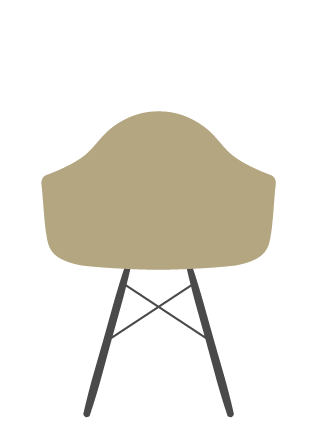 The term DAW was an abbreviation given for the Dining (D) height, Arm (A) chair, on Wood (W) base. 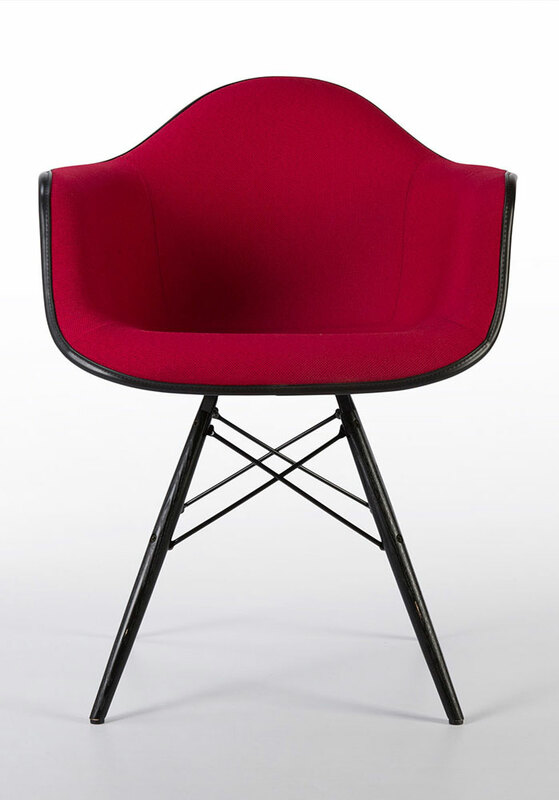 Its sister chair, the PAW had an additional built in ability to swivel and the P represented Pivot. 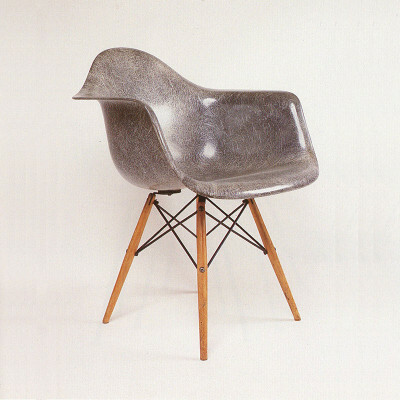 One of the ‘Original 5’ the dowel leg bases were part of the launch of the fiberglass arm chairs in 1950 and stood along side the DAX X-base, LAR ‘cat’s cradle’, RAR Rocker and DAR ‘Eiffel’ based chair as the very first options. 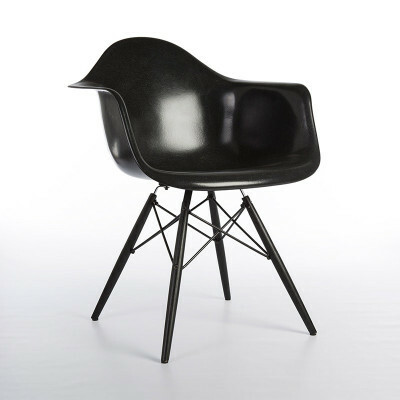 Any search of the internet today could bring you a plethora of places to purchase, read about or view images of the Eames DAW Chair. But what most won’t realise is that these sources will 99% cover versions (authentic or reproduction) made since the 2001 re-launch of the chair by Herman Miller. This is because the original versions, as beautiful as they were, didn’t last past 1953 making the true vintage versions very rare to find in good working shape. The original vintage dowel bases were fraught with issues including snapping, splintering and cracking around the joints. The basic build of the original base couldn’t cope with the stresses and strains of everyday use as a chair. Metal attached to wooden dowels would apply just too much pressure around the joins and the brackets. 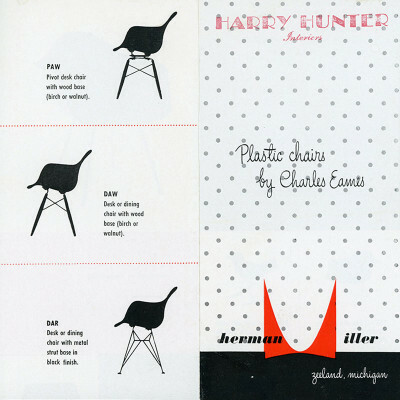 It took almost 50 years for the solution to arrive in the form of the re-release of the plastic chair series in 2001. The new dowel leg versions contain metal rods through the legs themselves, taking all the pressure of the weight from the wood and bringing back to life one of the most classic chair designs ever made. 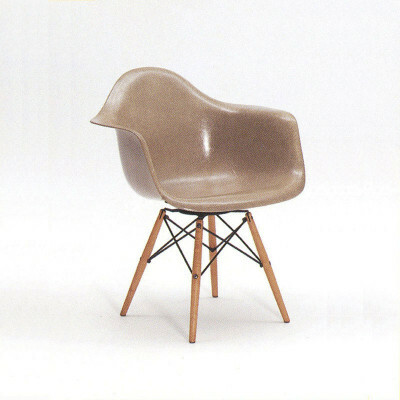 A side chair version of the Eames DAW Dowel Chair was also introduced in 1951 which ultimately had the same fate. The bases for the chairs were made by a company called Seng and the pivot versions have the factory stamped into the metal work. Due to the base barely lasting past the first generation of shell chair, it is not altogether clear if any of the dowel leg versions would ever have had the upholstery options designed by Alexander Girard for Herman Miller, indeed it is entirely unlikely. 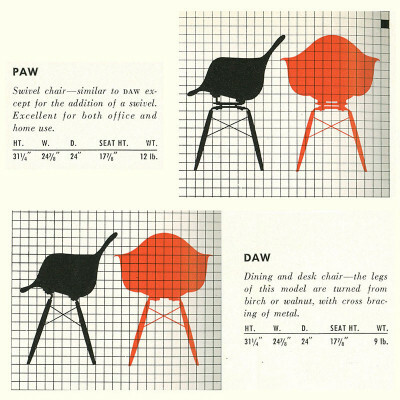 What are the original sizes of the Eames DAW & PAW Side Chairs? What materials went into making the Eames DAW & PAW arm chairs? Is my Eames DAW or PAW chair real? Recent dowel leg productions are light and use cheaper processed woods and do not have the steel rods through. Early versions (51-53) are high value pieces with good investment potential.